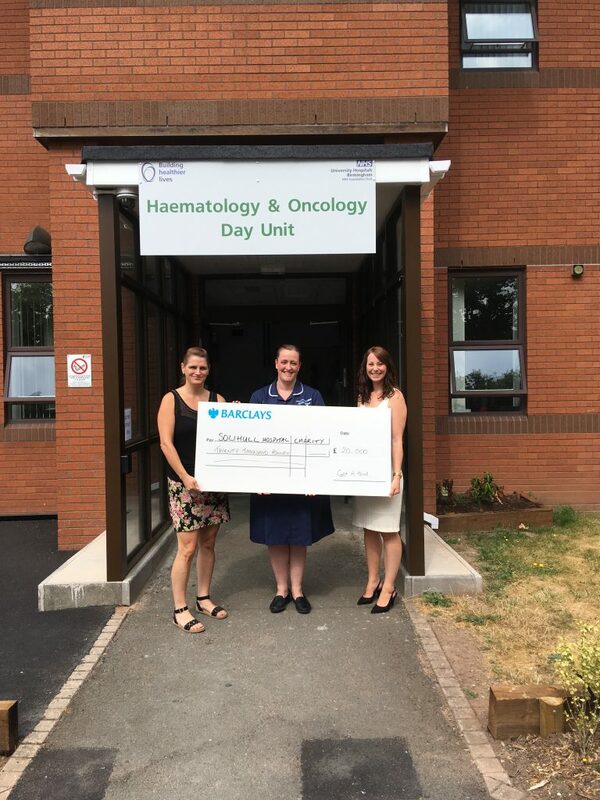 At a recent Trustees meeting the team were pleased to approve a grant of £20,000 to fund 4 chemotherapy chair spaces at the new Haematology and Oncology Day Unit at Solihull Hospital. 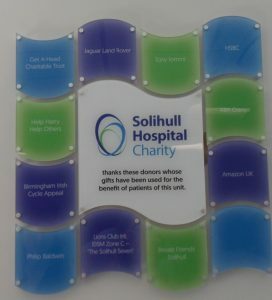 Solihull Hospital Charity raised £150,000 towards the unit, helping individuals that are currently receiving cancer treatments. The new facility provides more peace and comfort for the patients that receive treatments and is a far lighter and brighter environment for them. Previously, patients from Solihull were required to travel to Ward 19 at Heartlands Hospital which treats over 8,000 patients annually, across 17 chemotherapy spaces. 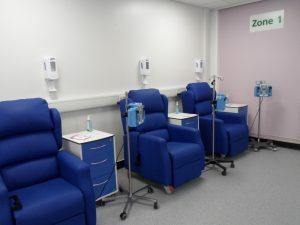 The new chemotherapy centre will see a ward at Solihull Hospital renovated to a state of the art facility with up to 31 new chemotherapy spaces, increasing the number of patients that can be seen by 170%. Our funding will allow the Charity to help to provide the unit with newly refurbished equipment to tailor individual treatment pathways for patients. To celebrate the opening of the Haematology and Oncology Day Unit, local celebrities came to show their support and gratitude, one of which was Tony Iommi. Tony, lead guitarist for Black Sabbath was diagnosed with Non-Hodgkin’s Lymphoma back in 2012. Iommi is a patron to Ward 19 at Heartlands and regularly shows his support for the doctors and nurses who treat those with cancer.